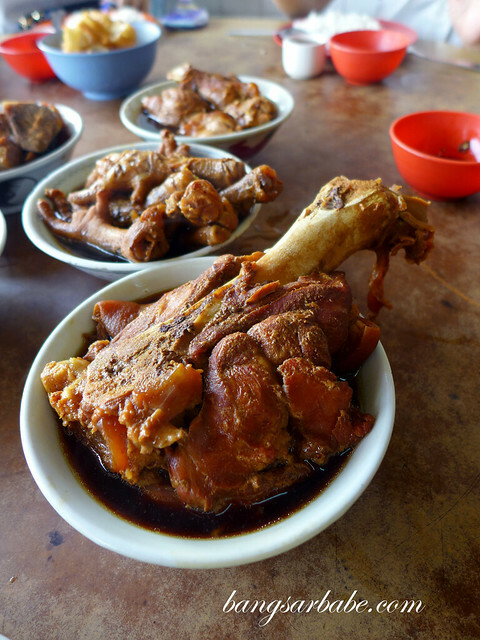 Like most Malaysian food, there are many variations to bak kut teh, a delicious medicinal broth with meat, cooked till perfect tenderness and infused with all the herbal goodness. 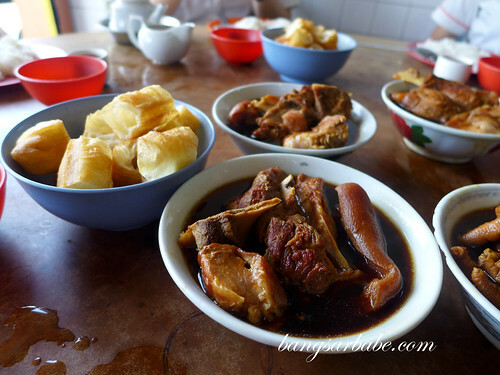 I’ve eaten at numerous bak kut teh places to be able to tell a good one and the best bak kut teh I’ve eaten thus far is at Chow Kiat in Klang. 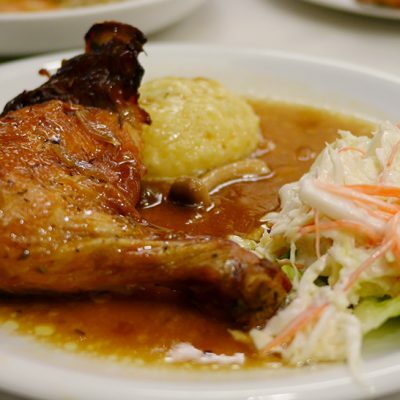 The restaurant operates from wee hours in the morning till they run out of good cuts. I was told that usually happens around 10am. We went there at 9am, in time for all the good stuff. Sam did the ordering and he went all out. Ok I’ll admit, I was darn pleased he went all out and ordered the whole works — belly, ribs, big bone, stomach, “kawan” and several more pork cuts that I’m not familiar with. 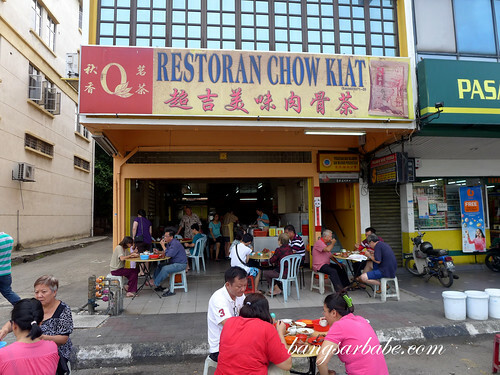 Unlike many places that serve bak kut teh in a claypot with assorted vegetable and tofu puffs, Chow Kiat serves it the traditional way. Unadulterated and in small porcelain bowls. And for soup guzzlers like me, the broth is refillable. At least a second bowl or so. Ask them for a third or fourth and you might just get ‘the eye’. The meats and soup were really, really good stuff. It was so good that I finished a whole bowl of rice at 9am. I don’t usually eat heavy that early in the morning but this was too good to resist. Heck I would even get up at 6am just to eat this. 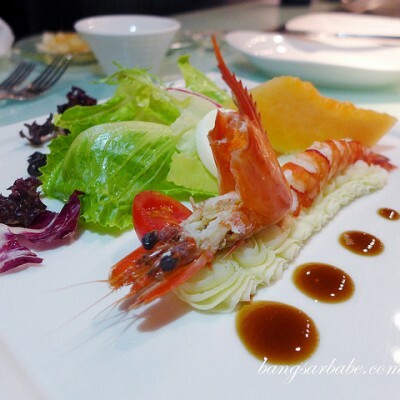 I didn’t care much for the yau char kwai. 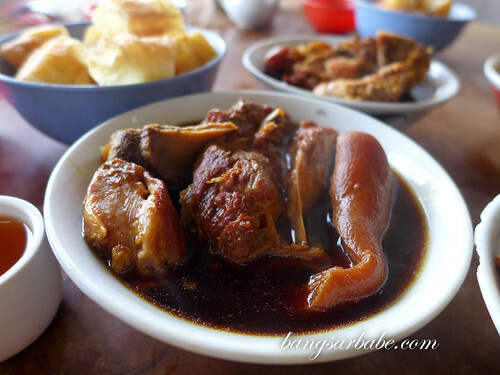 It was average but decent enough to go with the bak kut teh. 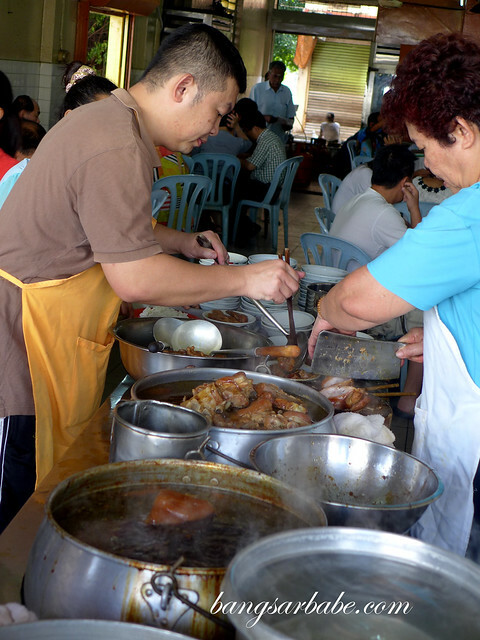 Next time, I’m going for the entire “kawan” cut and all the pork belly I can stomach. 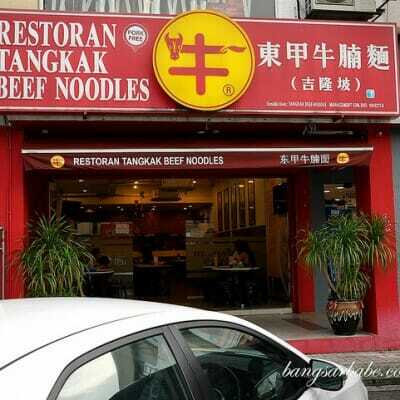 Try this when you’re around the area. 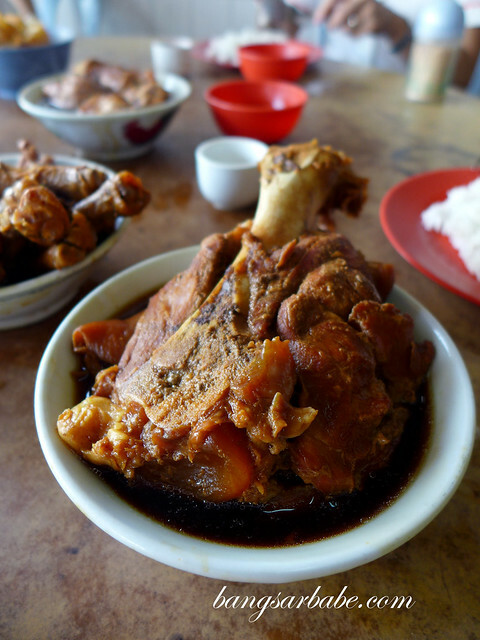 Wait, let me rephrase that: Please drive all the way there for this bak kut teh experience. 😀 Thank you Sam of Ken Holdings Berhad, for this great recommendation! 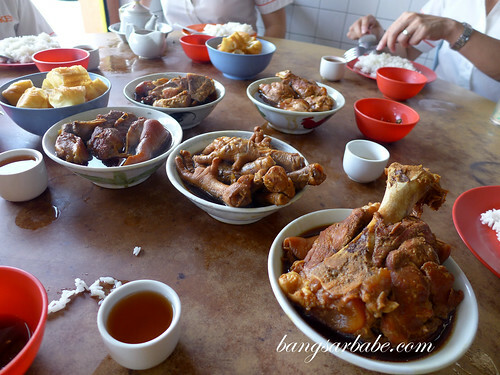 Verdict: Really good Bak Kut Teh.